The Russian Orthodox Church has obtained permission for the construction of a church in Strasbourg. On Monday, Strasbourg Mayor Rolland Ries handed the necessary papers to Moscow Patriarchate representatives. 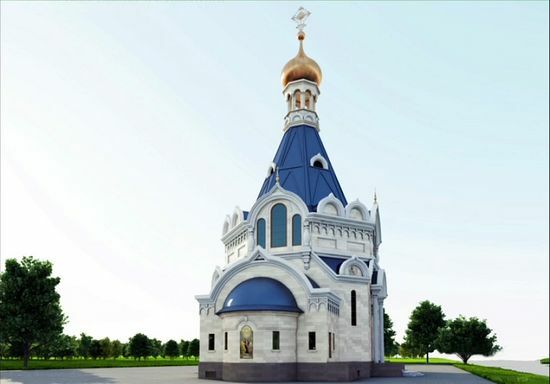 The City Hall of Strasbourg approved the church’s design, created by St. Petersburg architect Yuri Kirs and blessed by Patriarch of Moscow and All Russia Kirill. The church will have a cultural center that will host meetings between clerics, cultural figures, scholars and politicians from Eastern and Western Europe. The Russian Orthodox Community in Strasbourg was founded in 2003.